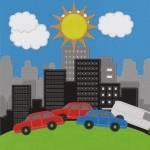 The European Environment Agency (EEA) published today a series of interactive maps, illustrating various climate threats European cities face as well as cities’ capacity to respond to these threats. This new ‘map book’ provides background information and allows users to view the maps, selecting different parameters. Today marks a major milestone for the European Commission's Mayors Adapt initiative, with 100 European cities now committed to take action to tackle climate change. 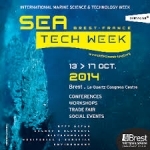 During the Sea Tech Week, from 13th to 17th of October 2014 in Brest, the 2nd symposium "Innovation and blue growth" organized by the Maritime Innovative Territories International Network (MITIN) will be held. The objective of the second edition of this symposium is to present the ongoing actions, define its projects and its action plan for 2015. 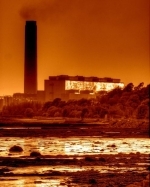 Forum Climatlantic: “From Climatlantic to Climatlantic +”. 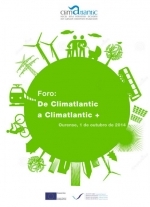 Next October 1st, at Ourense (Spain), there will be the Forum “From Climatlantic to Climatlantic +”. The period from 2004-2013 was the warmest decade on record in Europe. Many other changes significant for Europe have been observed across the climate system, including warming oceans, rising sea level and shrinking snow cover, ice sheets, sea ice and glaciers. 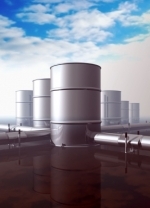 Emissions of nitrogen-containing pollutants continue to harm sensitive ecosystems, according to two new reports published by the European Environment Agency (EEA). Nonetheless, both reports show a marked improvement over the last two decades. The objective of the seminar is to help stakeholders learn about and devise ideas for projects in the Atlantic area that would meet the needs of the Atlantic Action Plan and that could benefit from EU or private funding.